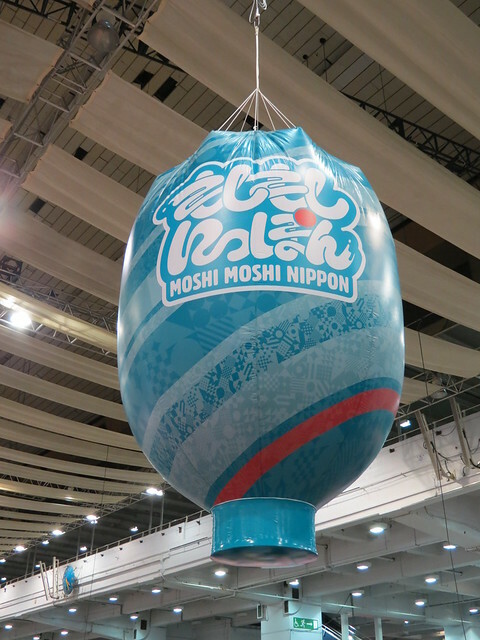 Moshi Moshi Nippon @ HYPER JAPAN 2014! What is the project “moshimoshi nippon”? 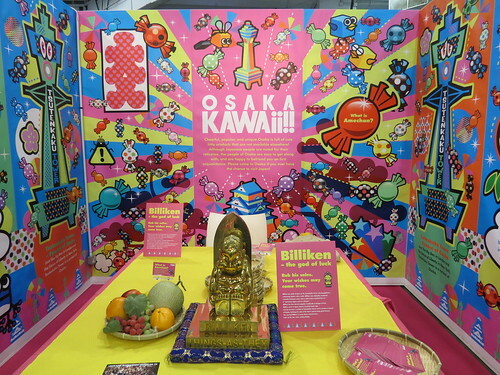 This project will send out Japanese pop culture to overseas. It will be a project to create “fashion, music, anime, and food” from new perspectives so that people overseas will become fans of Japan. Moreover, in doing this, it will develop various services such as “travel, sightseeing, hobbies and work” for foreigners when interested people come to Japan. 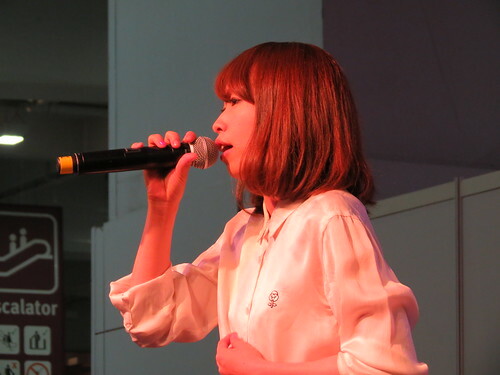 We will send out Japanese pop culture in new forms both in and outside of Japan by cooperating with multiple media and holding a lot of events! After three days at HYPER JAPAN I can certainly say the campaign worked on me – it was all I could think about! Throughout HYPER JAPAN Moshi Moshi Nippon was promoted on the KAWAii Stage and in the HYPER KAWAii area. 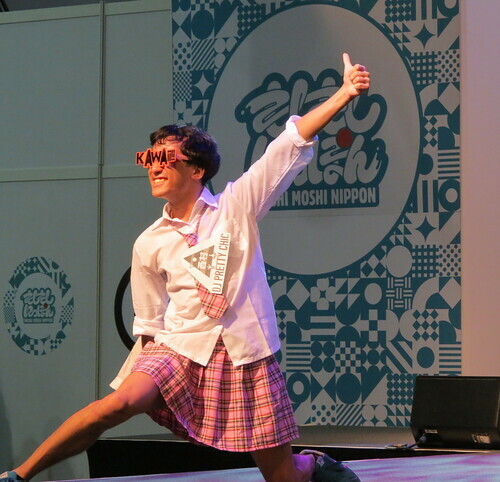 The most memorable act for me was the fabulous DJ Nishimura Hiyoko-chan (西村ひよこちゃん) who, with great amounts of genkiness, ran about the stage encouraging us to like the Moshi Moshi Nippon Facebook page. The Moshi Moshi Nippon project was created and developed by the talent agency and entertainment company ASOBISYSTEM based in Harajuku, most well-known for managing kawaii pop icon and ‘Japanese Lady Gaga’ Kyary Pamyu Pamyu. 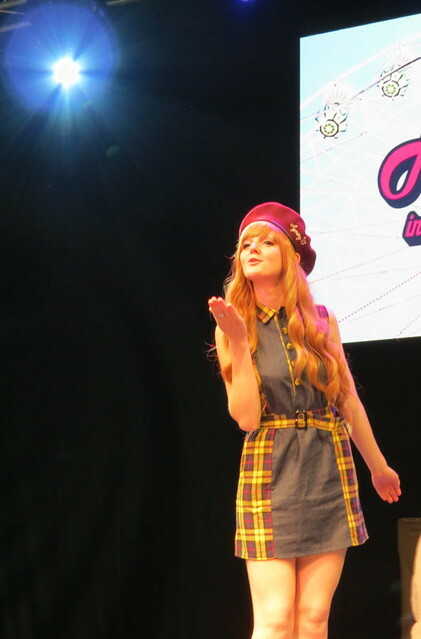 Kyary Pamyu Pamyu was unfortunately not at HYPER JAPAN herself (goodness, imagine if she had been! 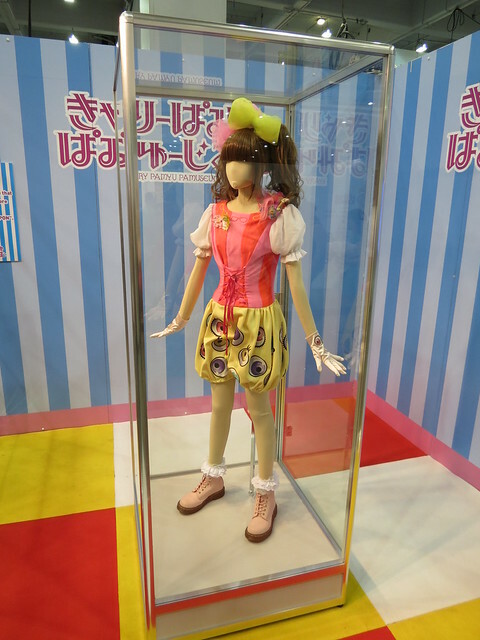 ), but one of her original costumes was on display and her songs were played throughout. 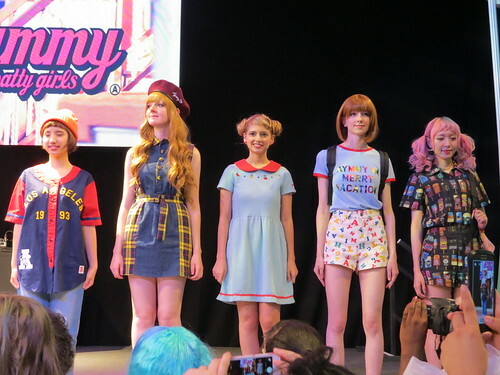 ASOBISYSTEM models and musicians were present on the KAWAii Stage throughout the event. 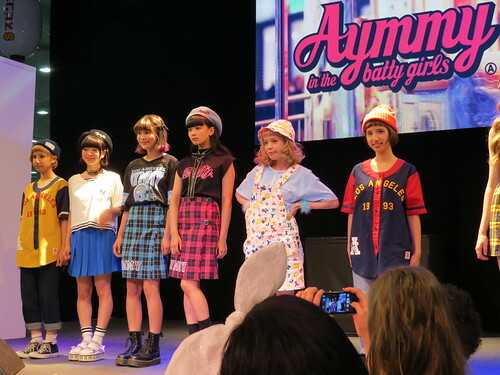 I didn’t get to see many acts as I was working for some of the event and then dashing about between stages, but I did catch a great fashion show showcasing fashion brand ‘Aymmy’ by Ayumi Seto. 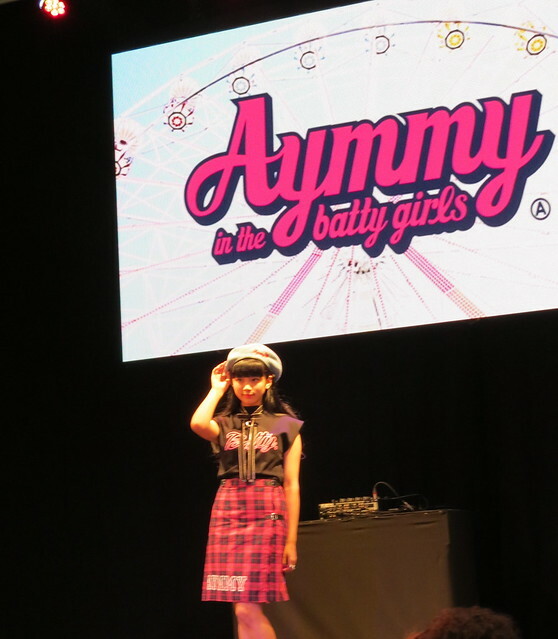 The show, called ‘Aymmy in the batty girls‘, featured models Ayumi Seto, Yura, Eva, Eri Tanioku, Ema Tanioku, POCHI and Kaede Ozawa. Moshi Moshi Nippon is made up of various initiatives: events (including HYPER JAPAN in the UK, J-Pop Summit Festival in the US and Japan Expo in France), tourist information, and a TV programme. 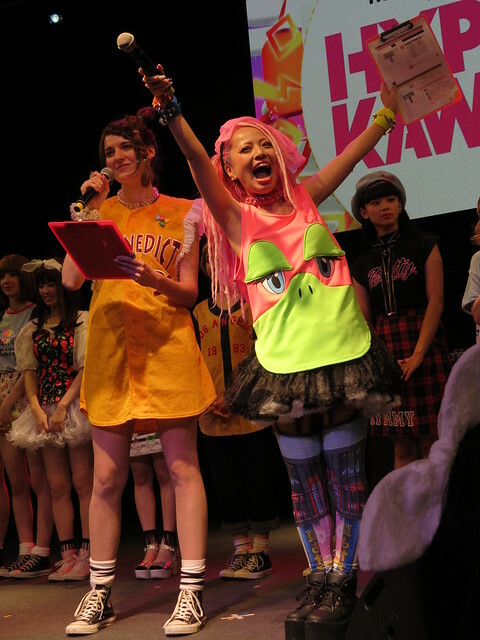 The bi-monthly TV programme, launched in April 2014, is hosted by Kyary Pamyu Pamyu and Rei Mastrogiovanni. You can watch the past episodes online here, and catch the latest episode this coming Friday. 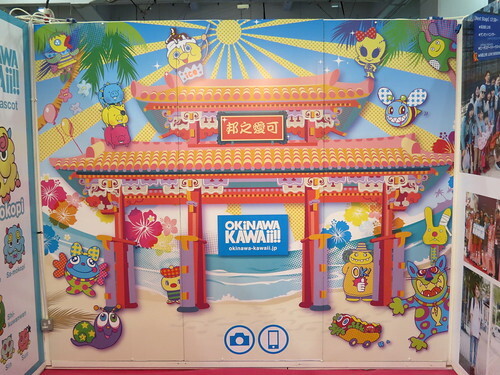 At the event there were booths for OKiNAWA KAWAii and OSAKA KAWAii, although it wasn’t immediately obvious what they were. It seems like Moshi Moshi Nippon is promoting pop-culture in specific areas. Okinawa already has its own website set up (in Japanese), whereas Osaka doesn’t seem to yet. HARAJUKU KAWAii is another side project by ASOBISYSTEM, promoting the kawaii fashion style of Harajuku. 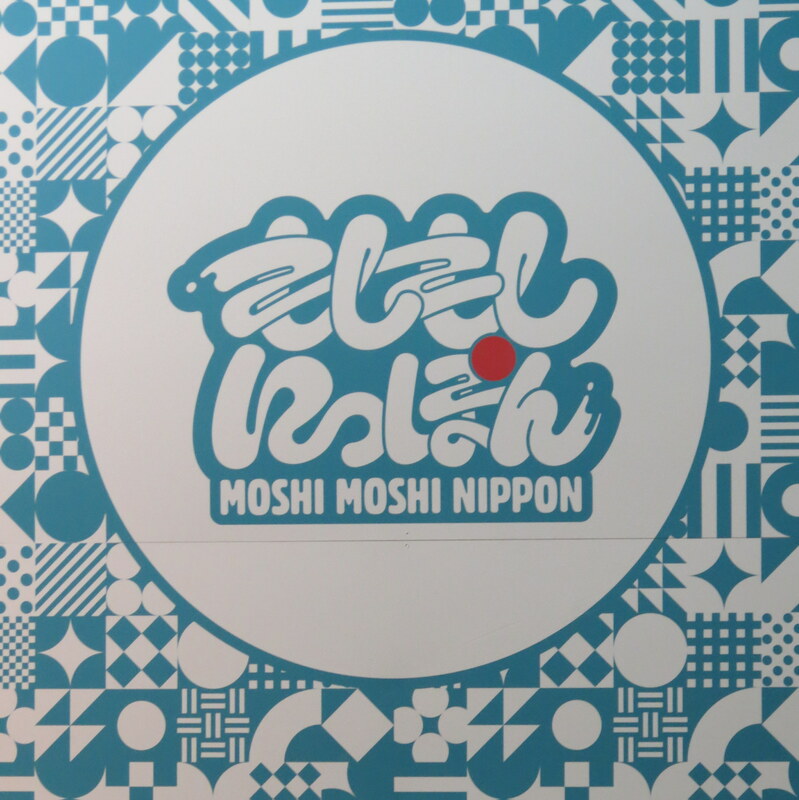 Moshi Moshi Nippon aims to open visitor centres in Okinawa, Harajuku and other areas. These will be hubs for information and free services such as wifi and water, available to tourists visiting Japan.